Home ice is supposed to be an advantage. 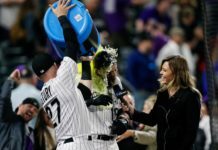 But even being at Pepsi Center could not stop the bleeding for the Colorado Avalanche. 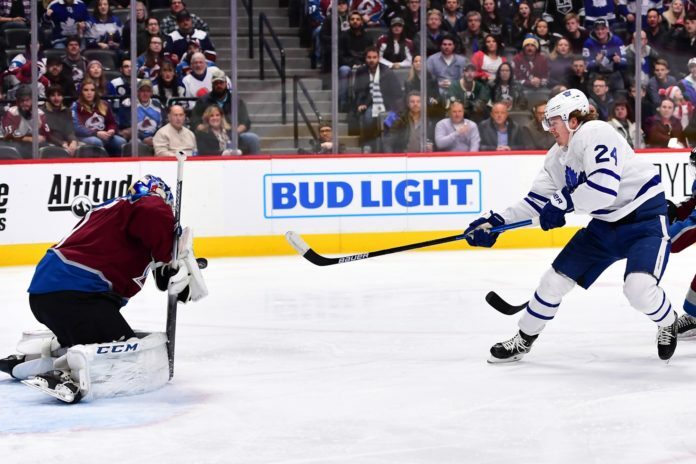 Tuesday night the Avalanche lost to Toronto, 5-2, extending their losing streak to eight games. 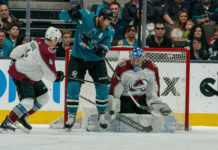 The Avs offense is running through the defense right now, and it is no recipe for success. The Avs attempted 54 shots at even strength, and 30 of them came from their blueline. It is clear that is what the coaching staff is preaching and it is not a recipe for success. They’ve got to find a way to create chances in close to the net. Ryan Graves continues to be one of the few bright spots since the start of December. He picked up his third goal of the year in only his 12th game. There’s no reason to even risk trying to send him back through waivers. He’s earned a spot on the roster. The Avs penalty kill, as it has been for most of the last two months, was a disaster. They gave up three power play goals in less than two minutes in the second period, killing any chance at a home win. Coming into the game, the Avs were 26th in the NHL on the penalty kill, and they will drop even further after this one. Semyon Varlamov gave up four goals on 17 shots but he didn’t get much help from his teammates in this one. The first goal was on a breakaway, the second breakaway the Leafs got within the first few minutes of the game. The last three were on the penalty kill where the Leafs passed the puck around with ease. Not a loss you can place on the goaltender. The top line carried the team through the first two months, but they look exhausted. 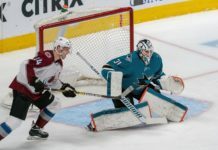 Tonight, both Mikko Rantanen and Gabriel Landeskog failed to even register a shot on net. Teams are focusing on that line now more than ever. The Avs now head on the road to take on the best team in their division, the Winnipeg Jets, on Thursday. The game starts at 6 PM MST.